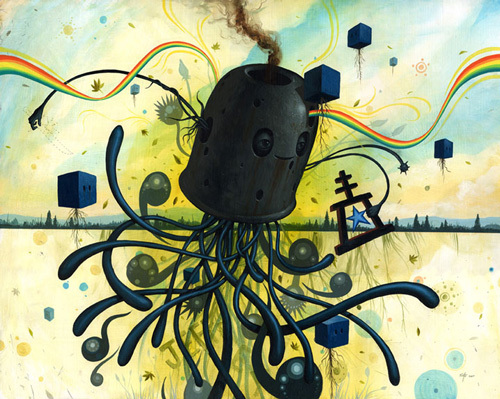 One of my favorite new artists to emerge in the last few years is Jeff Soto, who is having a solo show of art at Jonathan LeVine Gallery in New York City. 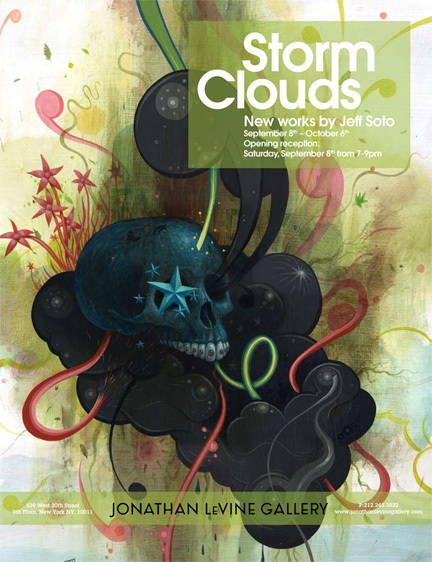 The show “Cloud Storms” opens this Saturday, September 8th and runs through October 6th. 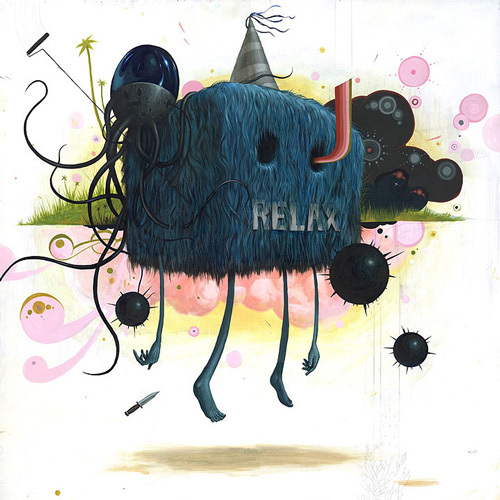 Jeff’s show is opening along with a solo show featuring the work of Jim Houser. UPDATE: Jeff did a big write-up about his trip to New York and his show.